My good friend and sister Art Gallery Fabrics fabric designer, Maureen Cracknell has a new fabric line called Autumn Vibes. 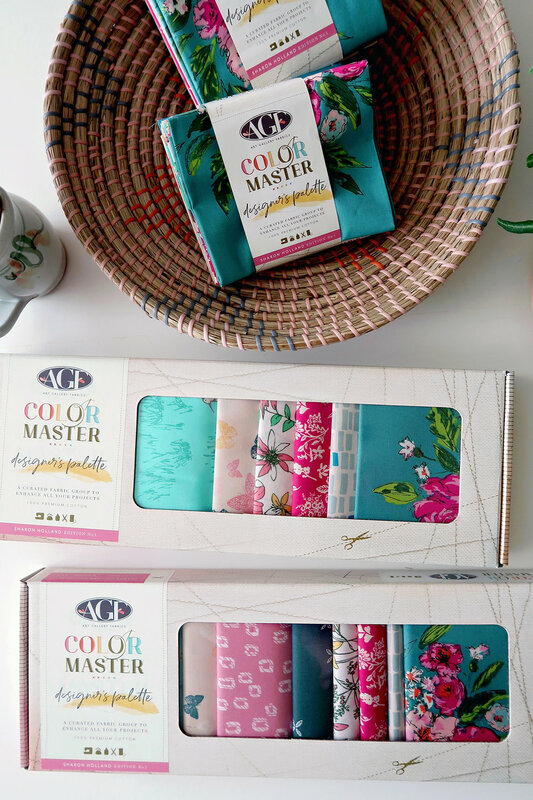 Both Maureen and I had collections this spring but my Signature line came out in May at the beginning of the season and Maureen’s Autumn Vibes started shipping in August for the last part of the spring fabric lineup. 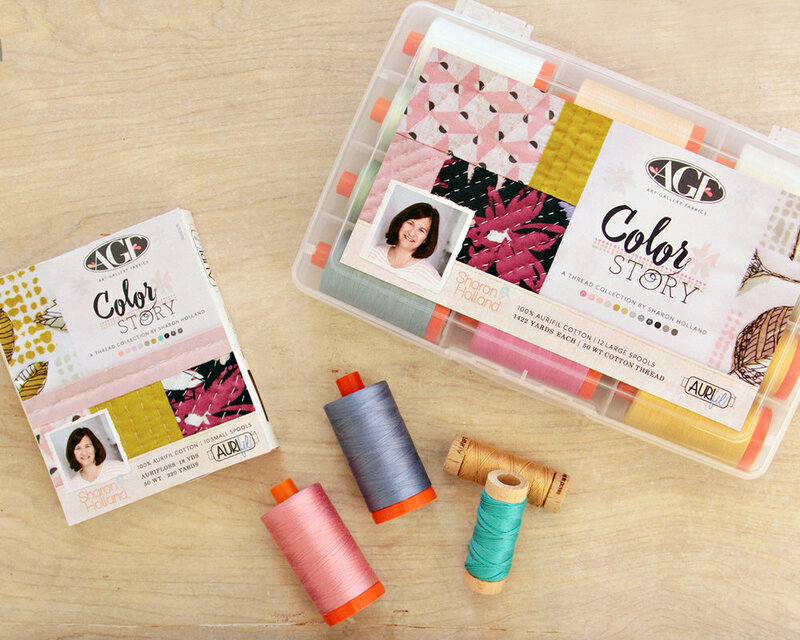 As you know, with each Art Gallery Fabrics (AGF) collection, AGF produces a virtual Look Book of sewing inspiration and life-style images of their gorgeous collections in use. I wanted to sew with Maureen’s prints and what better excuse to sew than to make something pretty for her upcoming Look Book. You know I do like making quilts so I wrote up a beginner-friendly throw quilt pattern to share with you. 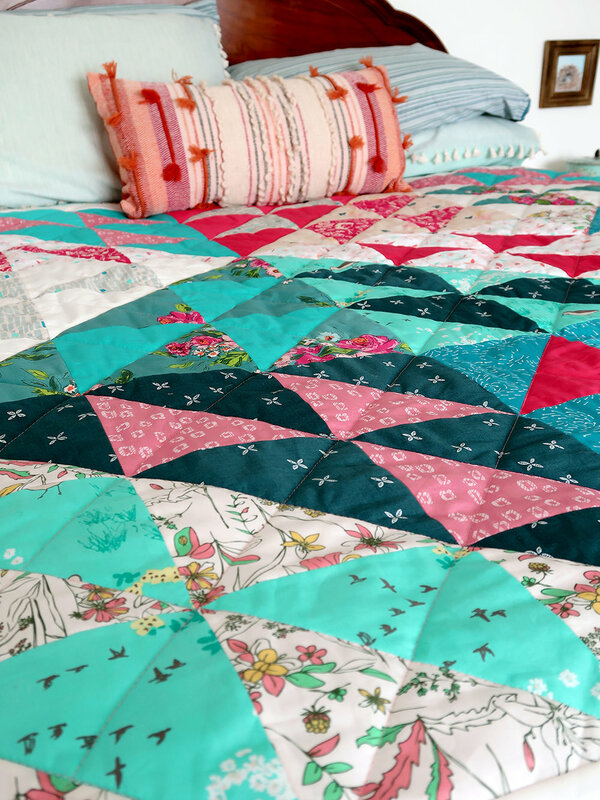 The hardest part about making this quilt in narrowing the fabric selection down to just eight of Maureen’s pretty prints and one AGF Pure Elements solid! The prints pictured above are the prints I selected from the Autumn Vibes collection and the free PDF pattern has all the information on the print names and stock numbers. 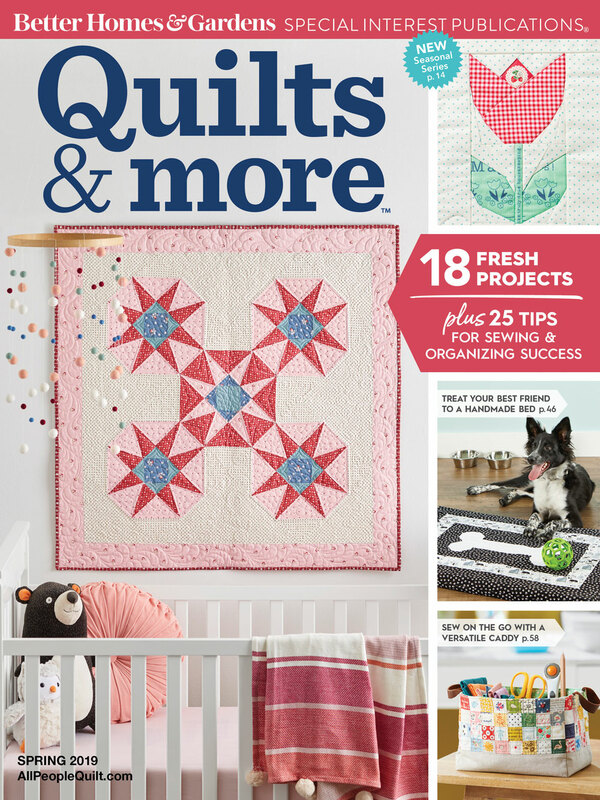 This is a terrific beginner quilt project because you just cut the pieces and jump right into sewing the blocks. No units to have to make before assembling. 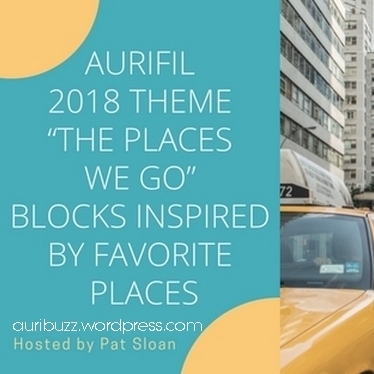 The nine blocks and nine fabrics make mixing and matching easy so every block is unique but the entire quilt looks cohesive. 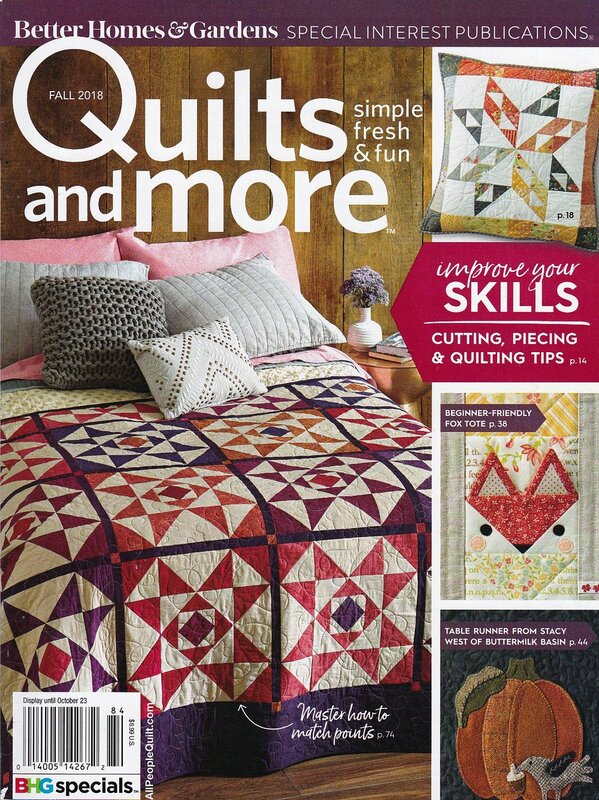 I chose to stitch an allover freeform leaf design when quilting my throw quilt. 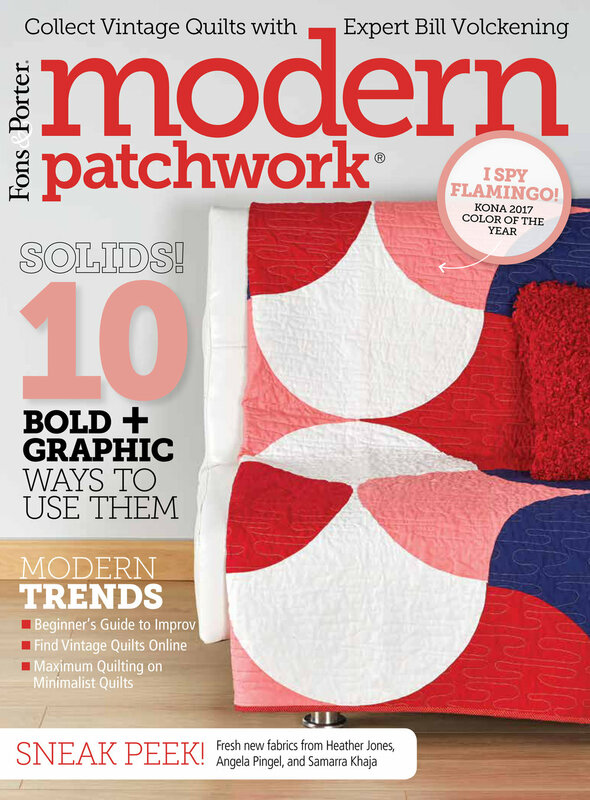 I selected a medium-tone cinnamon colored thread to stand out but not dominate over the blocks of pretty fabrics. For batting I used my favorite Hobb’s Tuscany Silk batting and find it the perfect weight for all my quilts and has great stitch definition, too. Wouldn’t this also make a great table topper for fall gatherings? 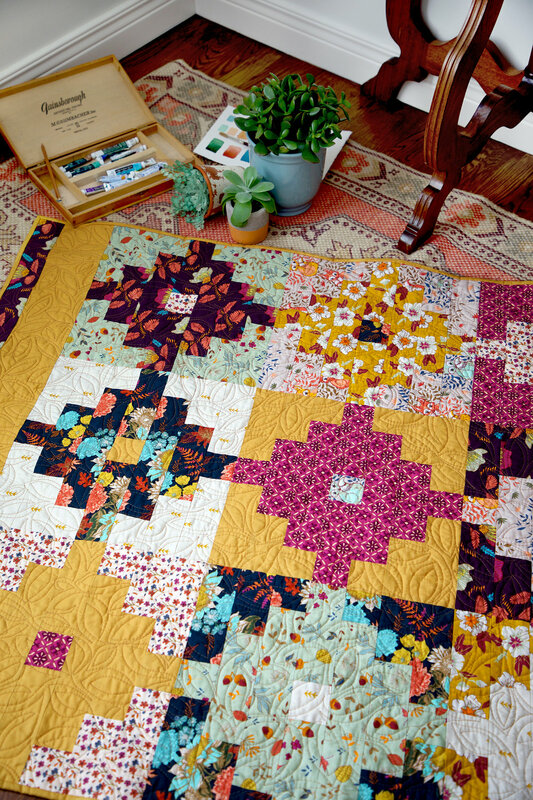 I had a lot of fun finding different ways to photograph this quilt—the colors are scrumptious! Get ready for fall and download this free pattern today from my Free Patterns page. Okay, that blog post title was funny, wasn't it!!?? 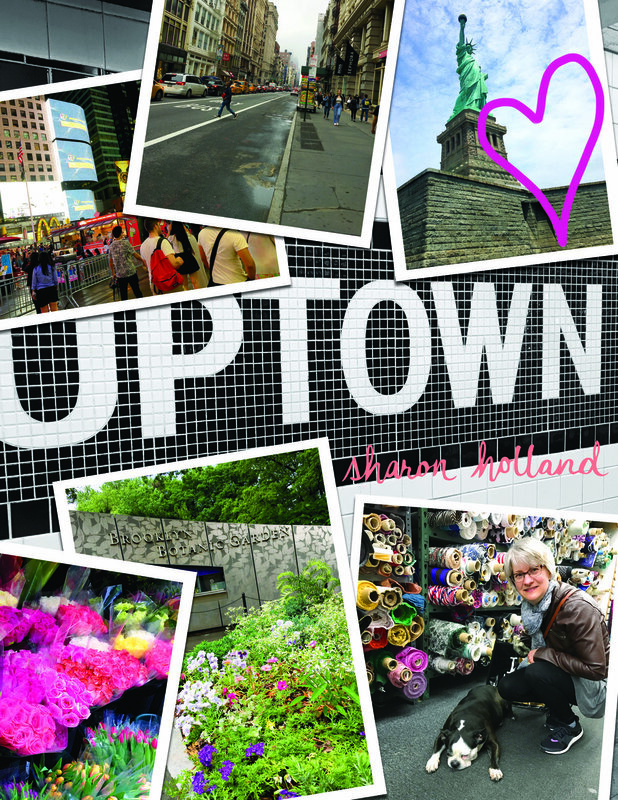 What did you think I was going to blog about, composting? 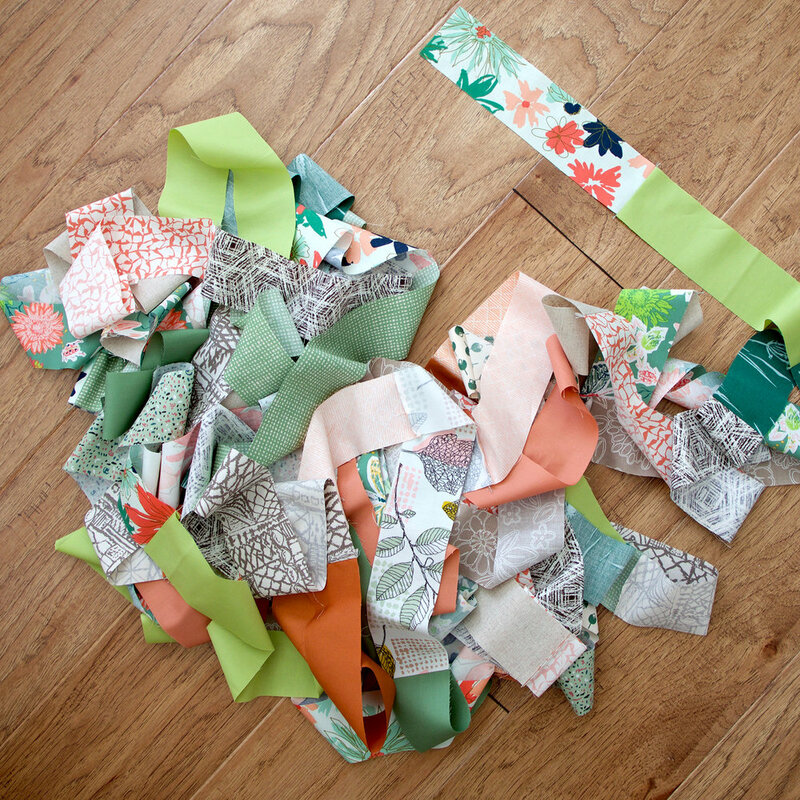 No, silly, this post is about using up those left over fabric strips to make something beautiful for your table! 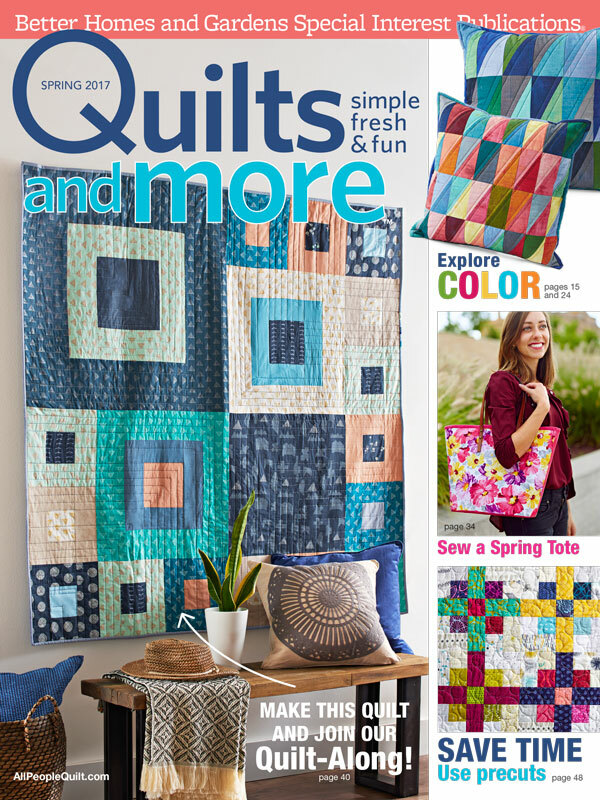 I definitely have a thing for quilted table runners--they're just fun and fast to make, plus quick for changing up the look of your table for the different seasons. This is my second time making my Stacked Strips Table Runner. See the original tutorial with instructions, HERE. I stitched this one exactly the same as the first, with 2"-wide strips but the finished size of this second runner is larger and finishes out at 18" x 84". The beauty of this pattern is you can easily customize the size to fit your table. The fabrics used in this runner are all Art Gallery Fabrics and include prints from all six of my fabric lines. 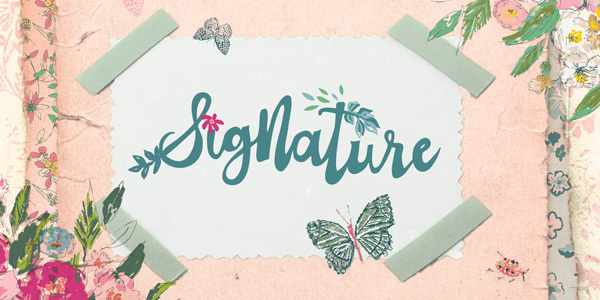 Here's the list: Pure Elements solids, AGF linen, Gossamer, Sketchbook, Coastline, Tapestry, Bountiful, Signature, and Ink Outburst from Woodland Fusions. The other variation I made from my original pattern was to utilize Quilt As You Go (QAYG) when sewing the strips together. By doing this, not only was I assembling the runner top, but I was quilting the runner as I sewed the strips! 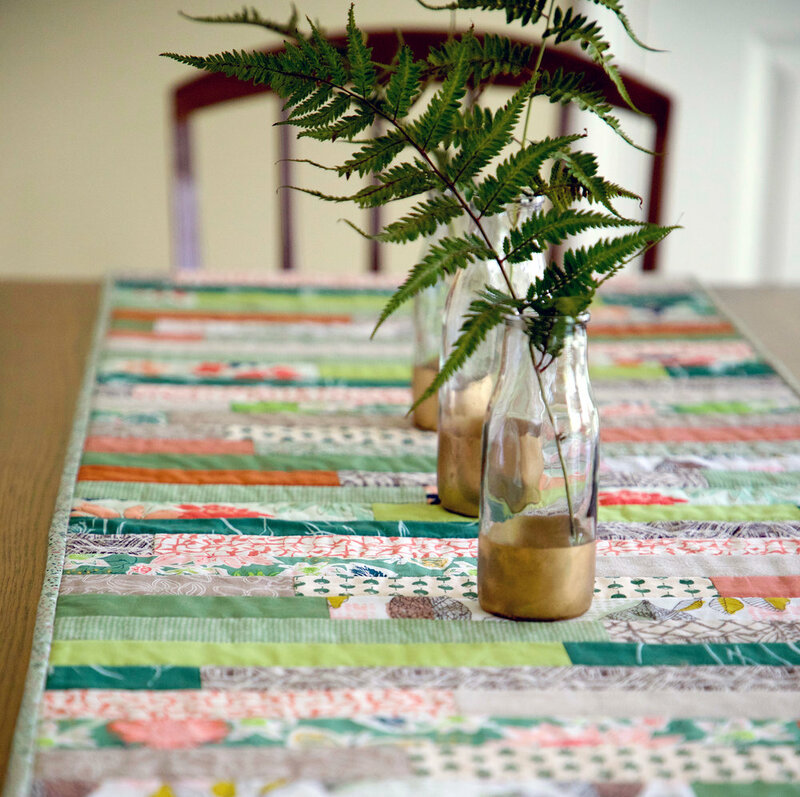 Using QAYG for a table runner is a great way to try this method on a small project. I used my favorite Tuscany Silk Blend batting and AGF linen for the backing to give the runner a nice weight and feel. 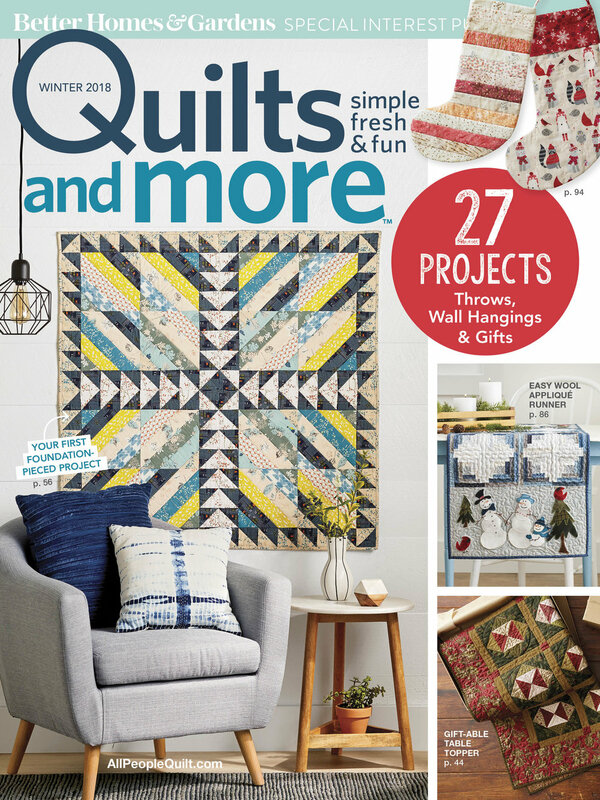 To learn how to sew the QAYG method for quilts and other projects check out my dear friend and sister AGF designer Maureen Cracknell's QAYG Craftsy class. 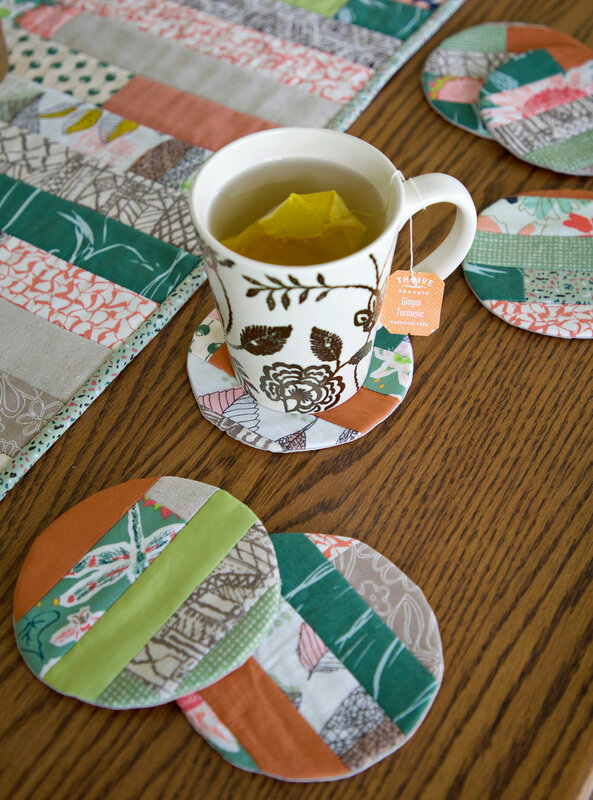 This was really fun to make and since I had some strips left at the end, I decided to make some matching coasters! My coasters finish at 4-1/2" round and I trimmed the strips to 1-1/2" wide to start with so the scale would be better proportioned. 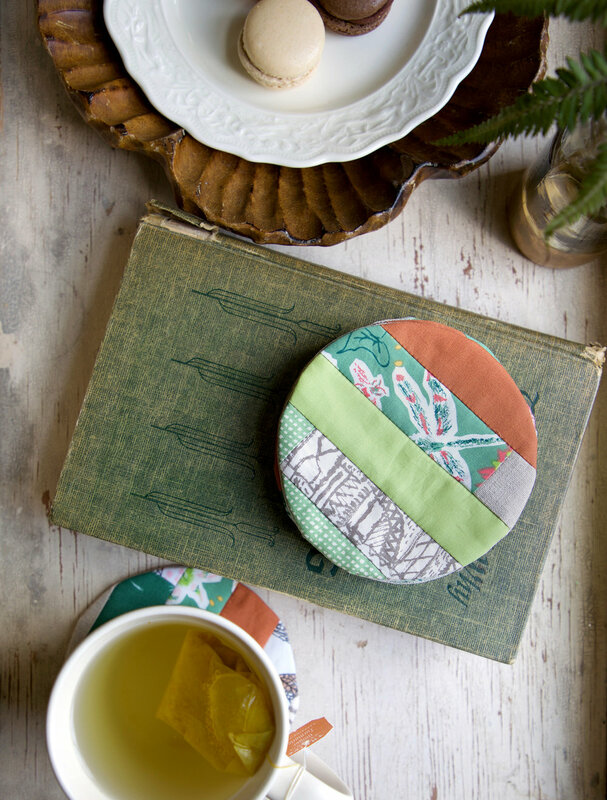 You could even start with 1" wide strips if you wanted even more fabrics in the coaster. I used the same strip assembly method of sewing strips short ends together before trimming to the desired size and sewing together QAYG-style to a batting and backing foundation. 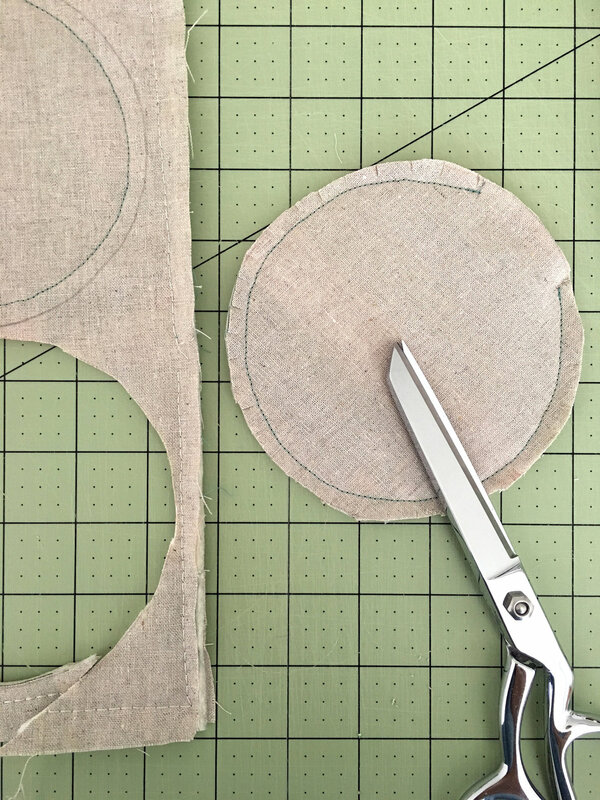 After I had the strips sewn into a large enough piece to cut out 5" circles from, I placed another piece of linen, right sides together with the QAYG piece and marked out circles with the bottom of a tin that was the right size. I sewed a 1/4" inside the drawn line, back stitching at beginning and end, and leaving and opening for turning. 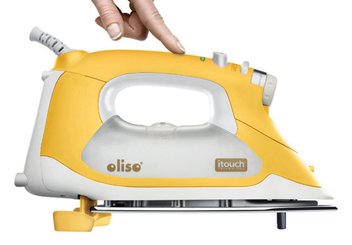 Cut out on the drawn line. Clip curves and turn right side out through the opening. Turn opening under 1/4" and press. Blind stitch opening closed by hand. 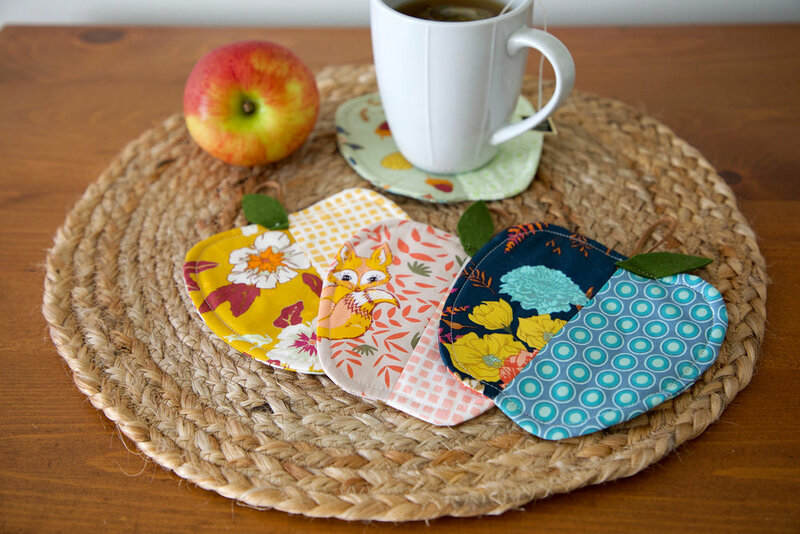 I did not do any additional quilting or stitching to my coasters once turned. This method has four layers: patchwork top, batting, and two layers of linen. 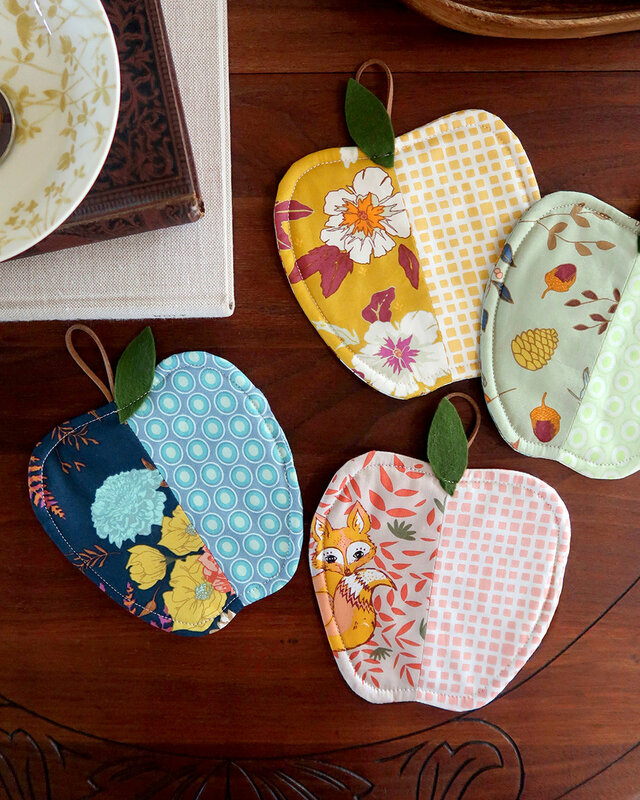 I think next time I try this I will make some placemats. It's really very addictive and I'm sure we all have a bunch of left over fabric scraps begging to be turned into something useful and beautiful!